All Aboard! We warmly invite you to join us for Dinner on the RMS Titanic, Saturday, April 14 from 5-10:00pm. 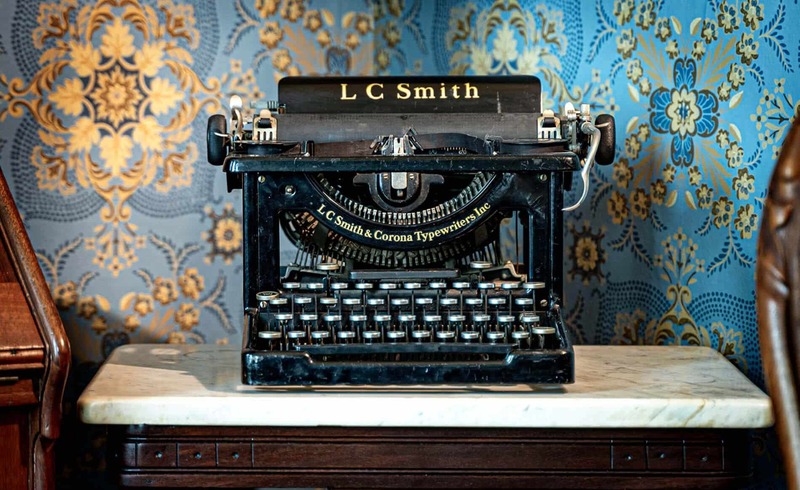 Upon arrival, you can enjoy Happy Hour with appetizers and a vintage cocktail prepared by a mixologist at the cash bar. 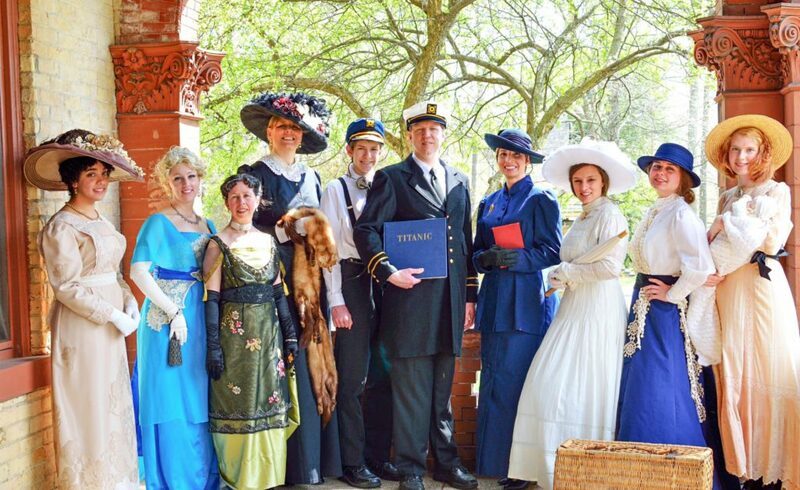 After a bit of sipping, tasting, and mingling, the Tea Ladies, two women who bring Victorian and Edwardian history to life, will share an enlightening program about what it was like to dine first-class aboard the R.M.S. Titanic in 1912. After their fascinating presentation, you will be seated for a mouth-watering nine-course meal prepared by Epiphany Farms’ very own Chef Stu Hummell and his team. This renowned chef will be on site preparing delectable courses, such as: oyster half shell w/lemon pearls, bacon-wrapped pork loin roulade, boeuf bourguignon, peach sorbet, and more. The entire evening includes a cocktail and appetizer hour, the Tea Ladies program, and three wine pairings with dinner. Tickets are $150 per person (all inclusive) and must be purchased by calling the Vrooman Mansion at (309) 828-8816. Formal or Edwardian dress is encouraged. Seating is limited and tickets are selling fast, so call today to join us for this unique local experience! 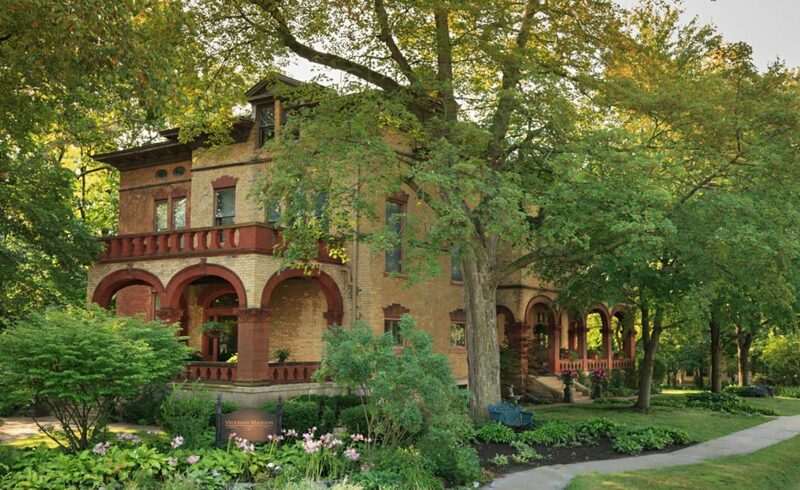 The Vrooman Mansion is the perfect place to host an event like Dinner on the RMS Titanic as its own history is rich with stories from a by-gone era. In fact, the mansion’s elegant and old world ambiance lends itself to a variety of gatherings and celebrations, from girls’ weekends and tea parties to showers and weddings. Are you looking for a unique venue for your upcoming special event? Look no further than the Vrooman Mansion! This entry was posted in Local Events and Activities, Special Events, The Mansion by admin. Bookmark the permalink.